In many neighborhoods across the Greater Toronto Area, there are cosmetology schools where aspiring hair stylists can learn the basics: looks, tools, techniques, and products. But for those who are driven to become exceptional stylists, the Sassoon Academy in Bloor-Yorkville is the best place to learn advanced styling and coloring using the Sassoon signature technique: precision haircutting. 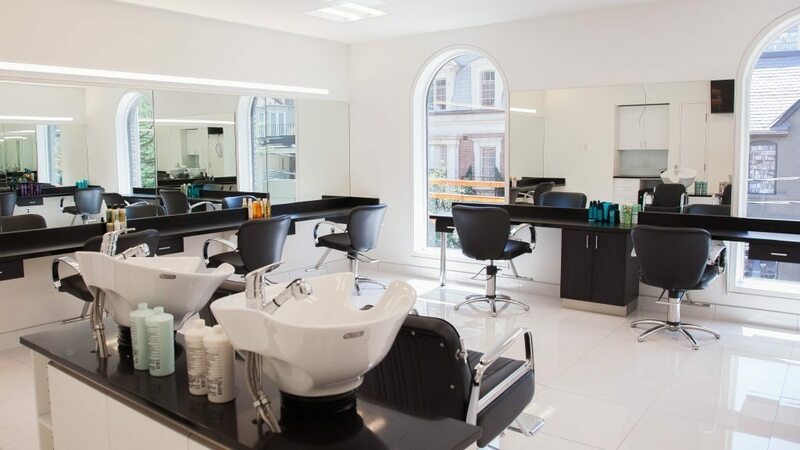 There are 10 Sassoon Academy locations across the world, they can be found in London, Germany, and in the major style cities of the United States. In Canada there is only one—on Scollard Street in Yorkville. 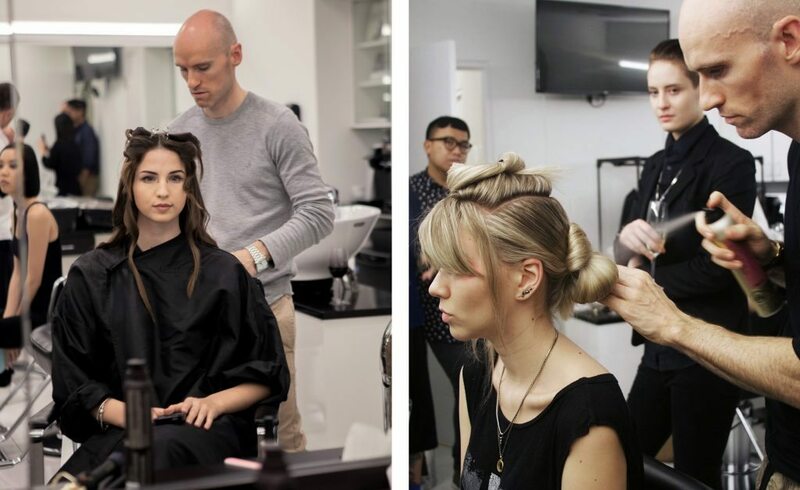 I sat down in the bright and airy top floor of the salon with Creative Director Wesley Hanlon to learn more about how the Academy equips its students to become elite stylists. Soon realizing that he needed some proper training, Wesley started seeking experience and education. He is adamant that stylists should always be seeking to push themselves one step farther and keep challenging themselves. Each time he felt he had hit a plateau in his own career, he took a step back and started seeking a new challenge. Wesley brings this breadth of skills to the Academy’s track of programs that starts with advanced fundamentals, the ABCs, and then moves on to creative cutting and coloring. “The ABCs is your H&M type of thing—mainstream” Wesley says. “And then the academy, the really creative, is more what you see on the runway.” Programs are 3 or 5 days long so that stylists can fit their learning into time off. 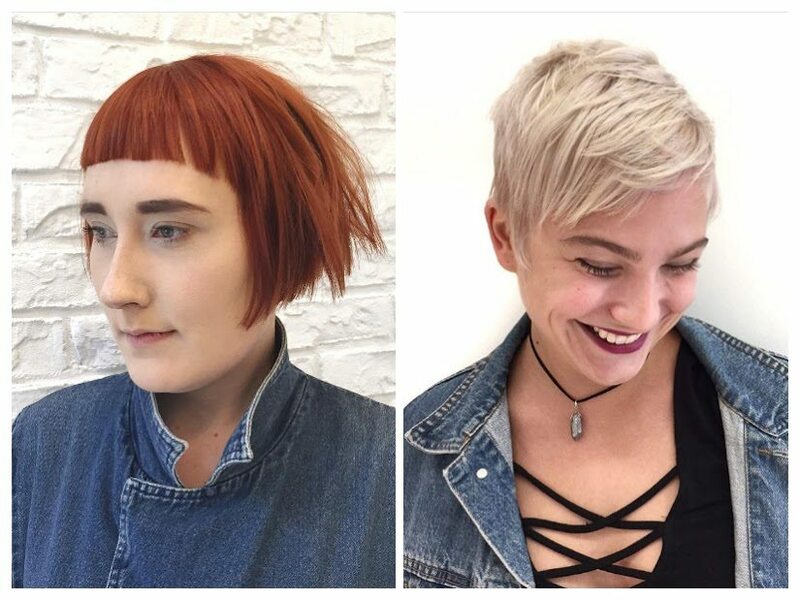 If stylists can’t find the time, instructors like Wesley often come to them and demonstrate the Sassoon techniques in their own salon. As a teacher, he emphasizes the importance of control over the styling process and good communication with the person in the chair. One of the most important things he does is to make sure his students know how to completely listen to their clients, so that they fully understand what the client wants and what their comfort zone is. When he teaches, Wesley likes to take a step back when his students are doing their styling work to understand their instincts and habits before stepping in to nudge them in the right direction. Sometimes he even learns something—he describes watching a student use styling mousse, which is usually applied wet, on dry hair for client with a bounty of curls. Normally it would have taken a lot of the client’s time to drench their hair, apply the product, and then dry and style. But applied dry, it was effortless and had the same effect. “The hair was amazing” he says. In addition to travelling around Ontario to teach, Wesley also likes to hang around the city—“everywhere” he says. He likes to see all the different styles and subcultures around Toronto. He even teaches his students to pay attention when they’re out and about: see what people like, what their comfort zones are, and what different styles people are wearing. With the skills learned from the Sassoon programs, his students will soon be people worth watching as well. Story by Ben Coleman. Quotes have been edited and condensed for clarity. All images courtesy of the Sassoon Academy.